52nd Israel Day Parade in New York will feature launch of new social media platform to advance Israel advocacy abroad. New York City will hold its 52nd annual Celebrate Israel Parade Sunday, marking the 52nd anniversary of David Ben Gurion’s visit to Manhattan in 1965 and the 50th anniversary of the liberation of the Old City of Jerusalem. Along with the tens of thousands of marchers, Governor Andrew Cuomo, Jerusalem Mayor Nir Barkat, Knesset Members, and other dignitaries, this year’s event will feature the launch of a new global campaign on behalf of Israel and Israel advocates around the world: 4IL. 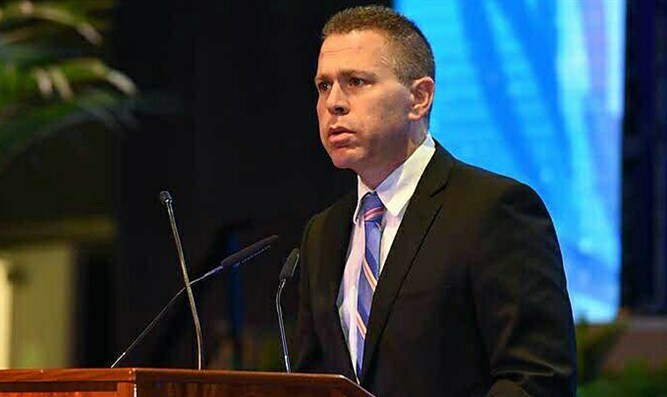 Strategic Affairs Minister Gilad Erdan, who will be leading the parade alongside Governor Cuomo, will inaugurate 4IL, the Strategic Affairs Ministry’s new online platform for combating BDS and anti-Israel incitement on the web. Amid a rising tide of anti-Israel and anti-Semitic material both on and off the internet, Erdan said the time had come for Israel to actively promote social media efforts to push back against efforts to delegitimize the Jewish state. "The State of Israel is under constant attack by de-legitimizers working to demonize Israel online and undermine our legitimacy as the nation-state of the Jewish People,” said Erdan. “For this reason I am initiating an international effort to unite Israel's supporters around the globe and provide them with a platform that strengthens their activities, with tools that will help all of us fight hatred together, and with resources to spread the truth. As part of the campaign, we will provide Israel's supporters with videos, graphics, articles and content. Along with civil society initiatives such as the Act.il application developed by Israeli-American Council (IAC) and IDC students, we believe that this will be a game-changer in defending Israel online and around the world". Under the 4IL label, the Ministry of Strategic Affairs will launch a new website which will include videos, graphics, articles and other content to aid Israel advocates. At the same time, the Israeli American Council and the Interdisciplinary Center in Herzliya will launch the Act.il system, which provides simple but effective online tasks for anyone who wants to stand up for Israel. These tasks take less than two minutes a day to complete, but their cumulative impact, say organizers, is significant.